For the next three weeks I will be in the North Cascades of Washington visiting and measuring snowpack, snow melt and area change on North Cascade glaciers. There will be no new posts here during this period. Though you can take a look at the film documentary crews site travelling with us. Our main task is assessing glacier mass balance on 10 glaciers which are then reported to the World Glacier Monitoring Service (WGMS). 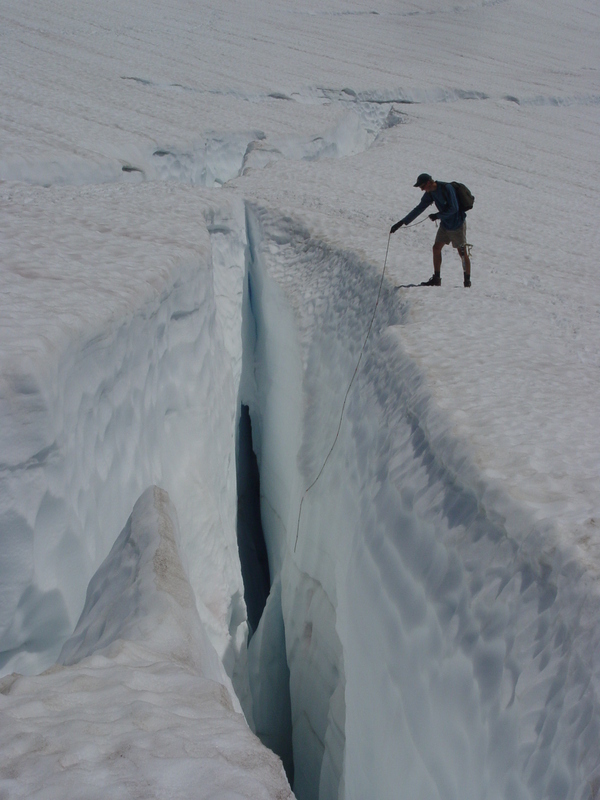 We measure the snowpack by probing through it to the previous summer’s impenetrable surface, due to melting and refreezing or being blue glacier ice . 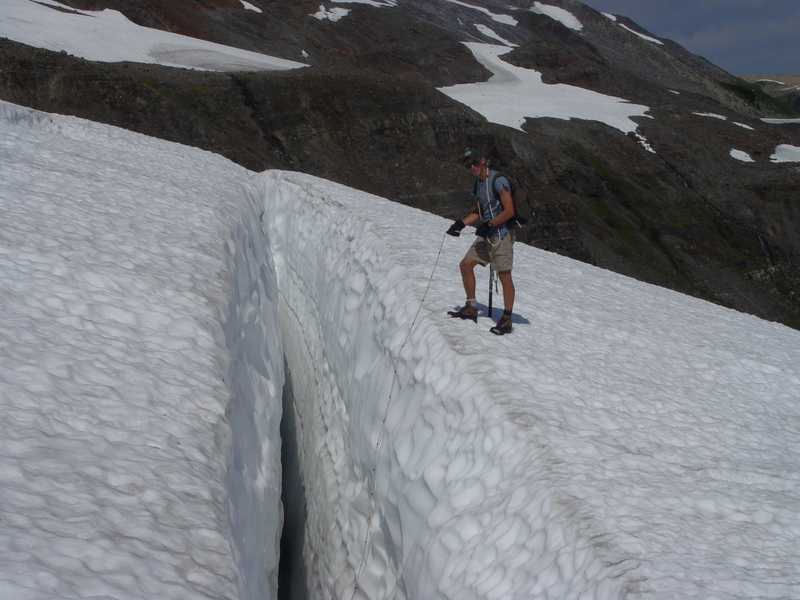 The other means is examining snow depth in a crevasse using the evident stratigraphy . 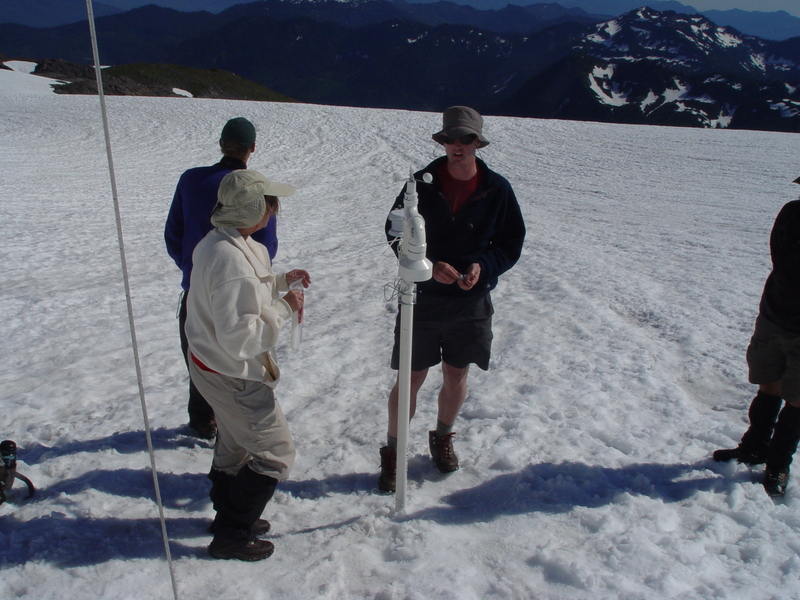 We monitor the snow melt and reset stakes in the glacier to monitor the snow melt as well. 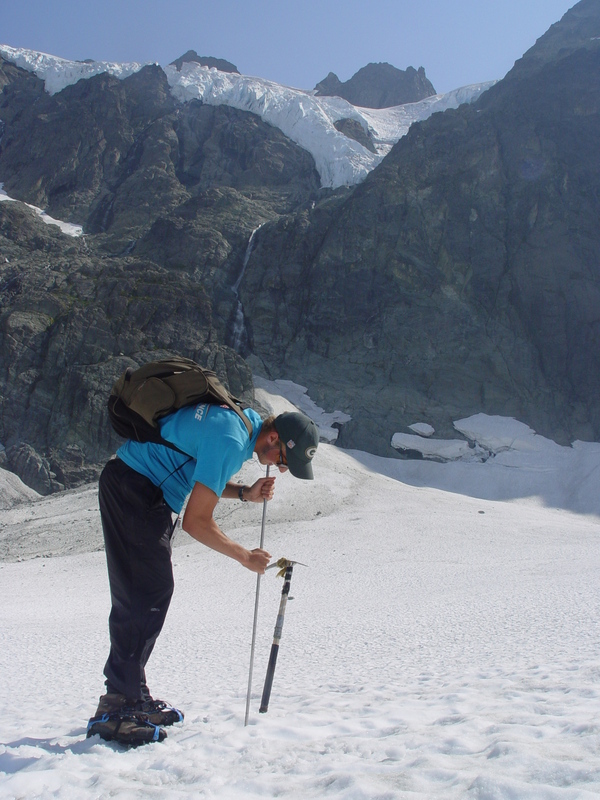 We also measure changes in surface elevation and margins of the glacier. We will report back shortly after our return on the status of these climate sensitive glaciers. 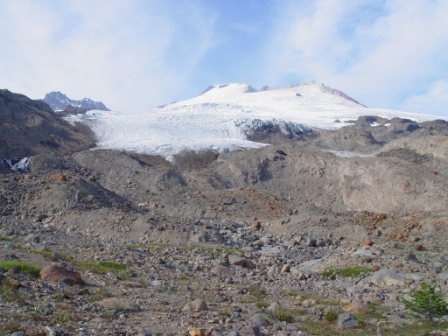 This entry was posted in Glacier Observations and tagged glacier documentary, glacier mass balance, North Cascade glaciers. Bookmark the permalink. Have a good day at the office, Mauri. And what a spectacular place to work! The commute will be nice indeed.